Commonly referred by locals as simply “Art Museum”, Fairmount real estate is synonymous with fine art. While this stunning, old world neighborhood is home to some of the world’s most renown museums, art is far from the only draw for residents of this pristine neighbor of Center City. 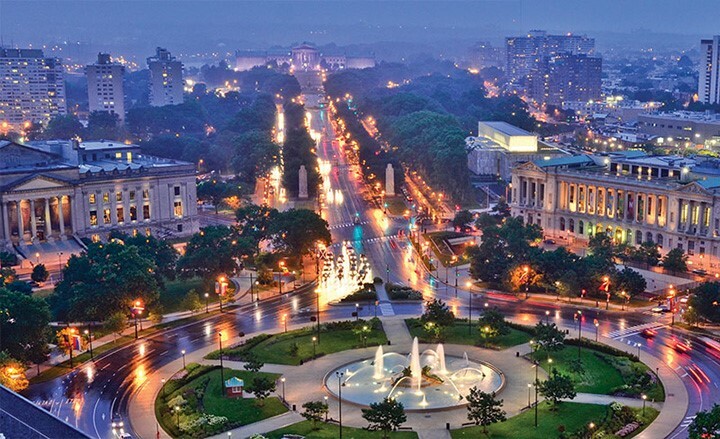 While this neighborhood got it’s nickname as its walking-distance access to Philadelphia Museum of Art, Franklin Institute, Rodin Museum and Barnes Foundation; Fairmount possesses an independent personality that has a quiet grace just outside the hustle and bustle of Center City. 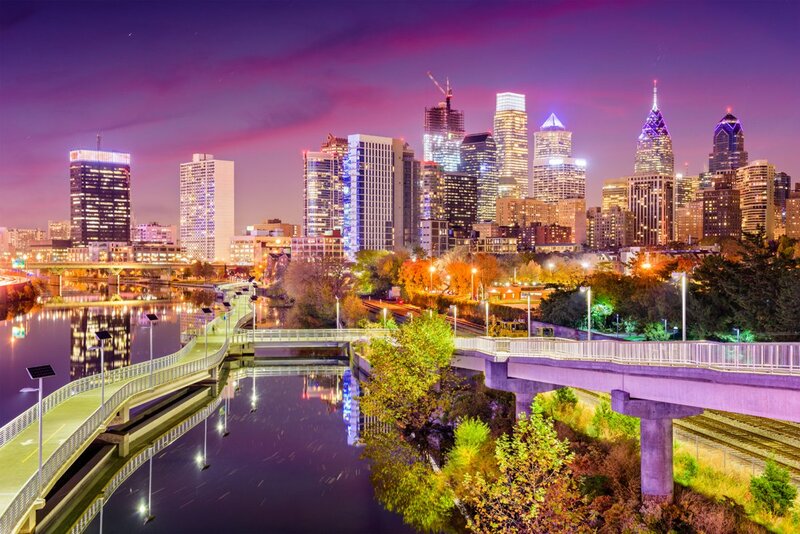 In Fairmont, people from Center City executives to young families, to empty nesters trading in the suburban life for a more cultured experience are moving here enjoy its immediate proximity to Center City, while simultaniously enjoying beautiful green spaces and a thriving food scene. 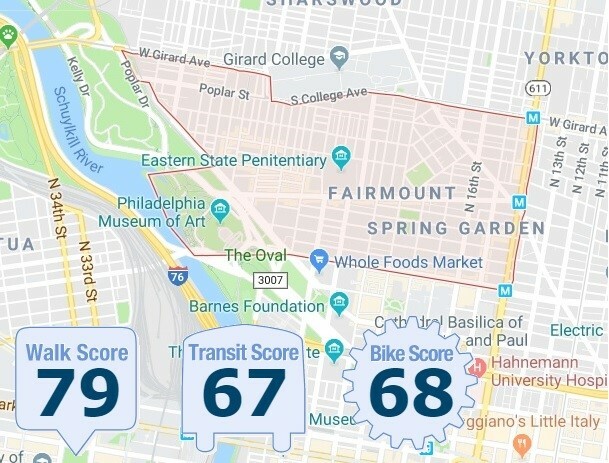 In addition to being one of the most upscale neighborhoods to live in; Fairmount stands on its own as a destination in Philadelphia. This is regarded as a sort of urban village, thanks to friendly residents and warm, welcoming atmosphere. At the center of the community is the former prison-turned-museum, Eastern State Penitentiary. Once the most famous and expensive prison in the world, the massive Eastern State Penitentiary, where Al Capone was once housed; is open year-round for tours and is often lined with an outdoor art & antiques market on weekends. During the Halloween season, Eastern State turns into the nation’s largest haunted house with its “Terror Behind the Walls” experience. On the riverfront, the Fairmount Water Works provides history and a beautiful walk. One of America’s first, Fairmont Water Works was constructed in the early 1800s to provide safe, clean drinking water to a growing city. The Water Works is unique among environmental centers because of its location at the river’s edge in the center of a major metropolis (and behind the Philadelphia Museum of Art). Interactive, user-friendly exhibits, an interpretive center and programs share information about the water in our world. Art is more than the name of your neighbors here, it’s an interactive feature of this community. This is evident in places like Neighborhood Potters; where owners Sandi Pierantozzi and Neil Patterson opened this studio/gallery more than 15 years ago with the mission to bring a little warmth and soul into everyday lives with beautiful, useable, handmade pottery. Classes are available for students of all levels, and the shop is open Saturdays from noon to 4 p.m. or by appointment. 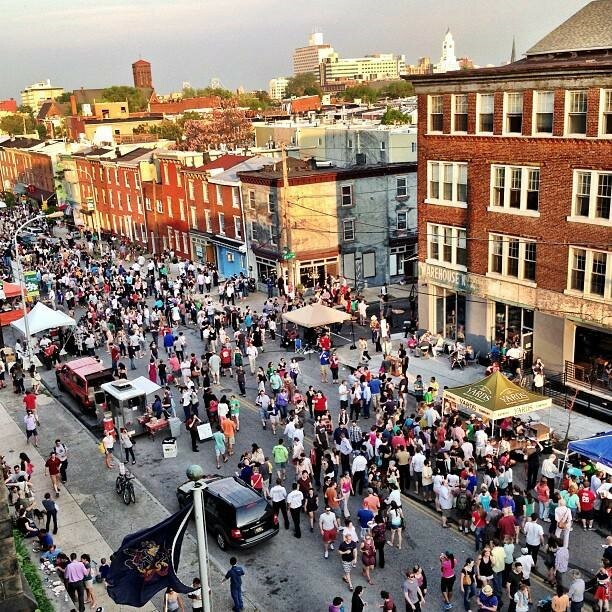 Neighborhood Potters, in addition to the Philly Art Center, a community art center promoting out-of-the-box thinking through dynamic arts programming in a wide range of media; help assure that the living community of this neighborhood live up to its nickname. Another part of the community on its northeastern end, Spring Garden distinguishes itself while complementing its neighboring districts. It is here where you have the opportunity to afford to live in beautiful Victorian architecture constructed for wealthy industrialists during the latter 19th century, while still being part of a community a decidedly relaxed vibe. This community is growing, and recent development of the North Broad Street border are generating buzz for the area; creating a great opportunity for immediate equity and increasing property values. If you have a Mediterranean palate, Fairmont is home to Osteria, twice honored by the James Beard Foundation, with house-made pastas, thin-crust pizzas, wood-grilled meats, fresh fish and a 300 Italian bottle wine list and Pizzeria Vetri – Awarded three out of four bells by The Philadelphia Inquirer, chef Vetri’s pizzeria serves traditional, wood-fired Neapolitan-style pizzas, salads and more. However, if you just want a great casual environment; Fairmont is home to Angelino’s, a neighborhood staple known for its pasta with homemade sauce, pizzas, sandwiches, AMano (meaning “by hand” in Italian) serving seasonal, handcrafted Italian dishes at a bring-your-own-bottle (BYOB) spot, Zorba’s; serving authentic Greek food and atmosphere. and Figs; cozy corner BYOB dishes out Mediterranean food in an authentic Moroccan setting. If your palate has an Asian flare, Fairmont comes in strong with places like the Dim Sum & Noodle, Doma (a 35-seat Japanese BYOB with Korean influences and an authentic hot-stone bibimbap), Gyu-Kaku (a Japanese barbecue over a flaming grill), the great Umai sushi bar , iPho and Trio, a Thai-inspired, Pan-Asian that are all readily available to put some Eastern diversity into your restaurant rotation. Fairmont also has great Mexican food with La Calaca Feliz and Buena Onda, a Baja Peninsula-inspired, do-good eatery known for mahi mahi tacos and tofu chorizo quesadillas—served on house-made tortillas. 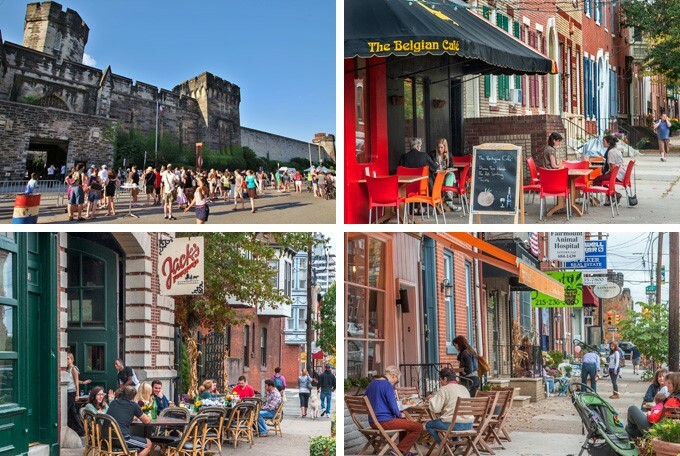 Other great spots include Era Bar and Restaurant, serving Ethiopian food; the Rose Tattoo Café and the Sweet Nectar Dessert Kitchen, where Robin Broughton-Smith (who was Jay Z’s accountant before opening the bakery a few block from where his famous “Made in America” festival happens each year). Drinking is an international affair in Fairmont, where you can trip the globe without leaving your neighborhood. Bar Hygge (pronounced hoo-ga; a stylish and rustic neighborhood brewpub focuses on beers, wines and seasonal small and large plates. Jack’s Firehouse, a popular American bar and grille set in a 19th-century firehouse across from Eastern State Penitentiary; where yes, the fireman’s pole is still standing. The Belgian Café maintains a selection of strong and interesting Belgian beers on tap, and extremely good mussels. For a cozy, Irish Pub experience, the Black Taxi features old-school Irish-American fare like shepherd’s pie and Irish stew, lots of liquor, and rotating beers. When you factor in neighborhood hotspots like the Urban Saloon and Kite & Key; you don’t have to leave the neighborhood for nightlife in this great community.